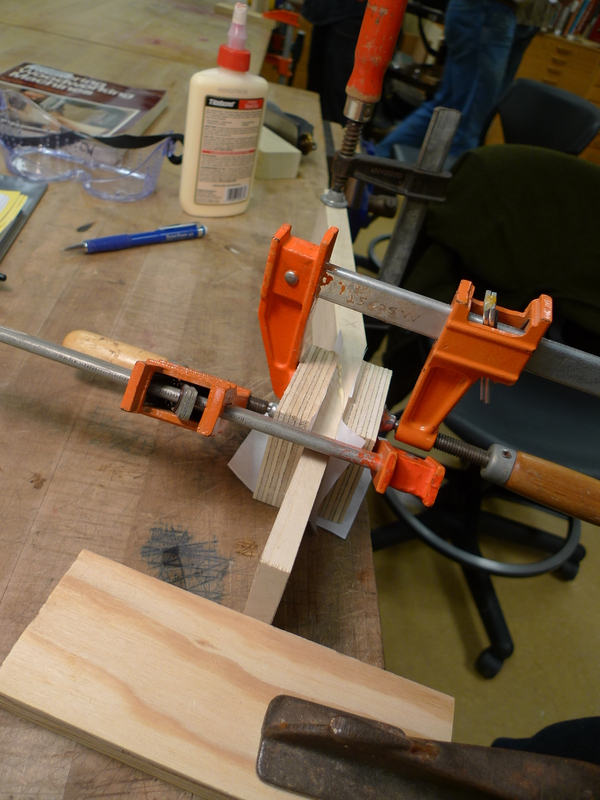 Now that week two of Tools Class is over, I’ll recap some of what we’ve accomplished thus far. 1. Lectures, demonstration, safety test, and projects on jointer, planer, table saw, band saw, disc/belt sander, and drill press. 2. 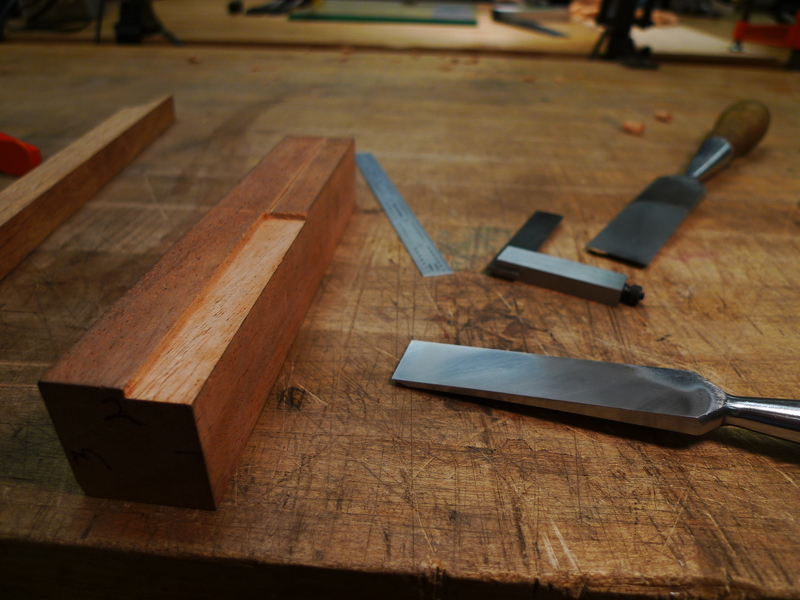 Block planes tuned, Chisels lapped, ground, and honed. 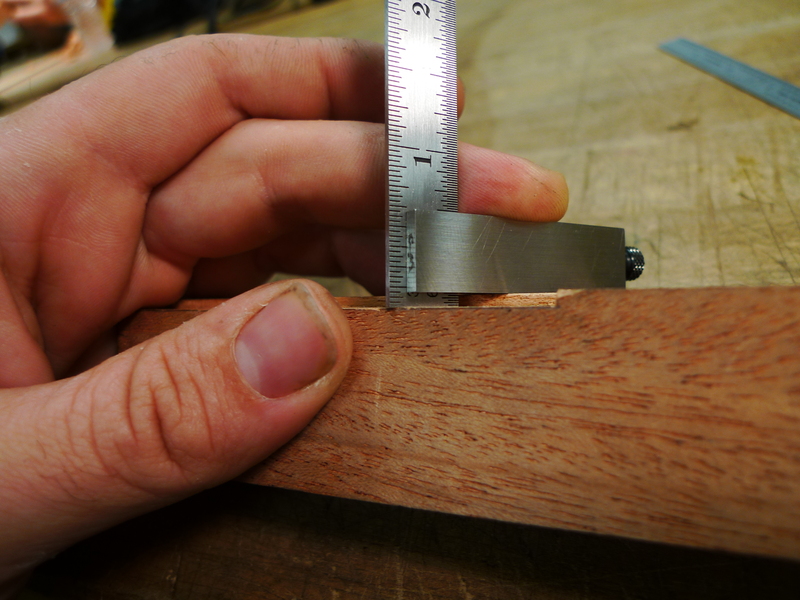 Much practice accurately using a machinist square and ruler. 3. 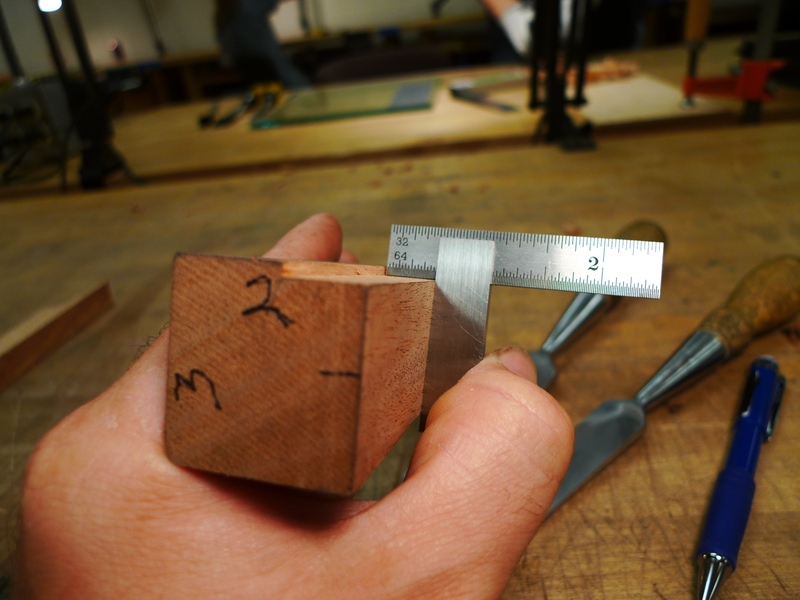 First hand tool project: Make a square mahogany block. First, one face *perfectly flat. 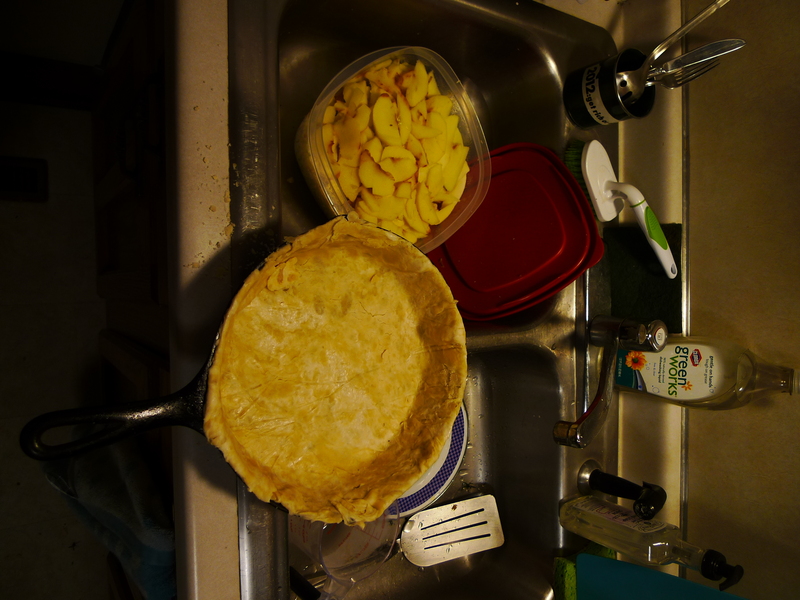 Next, each consecutive face made square to the previous, and *perfectly flat. 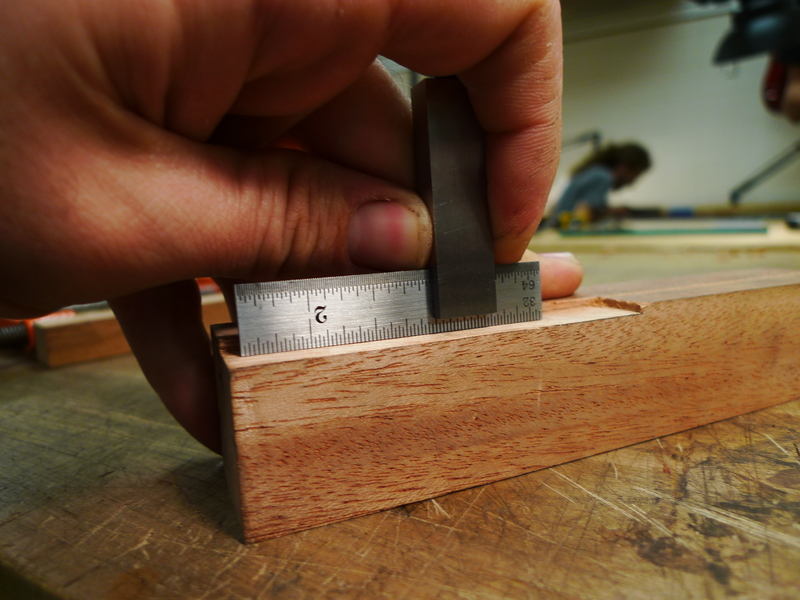 Lastly, we chiseled a 3/32″x1/2″x3 1/2″ ledge into one face of the block. The result: Lots of practice, some frustration, and a handy stop for belt sanding nuts and saddles! 4. 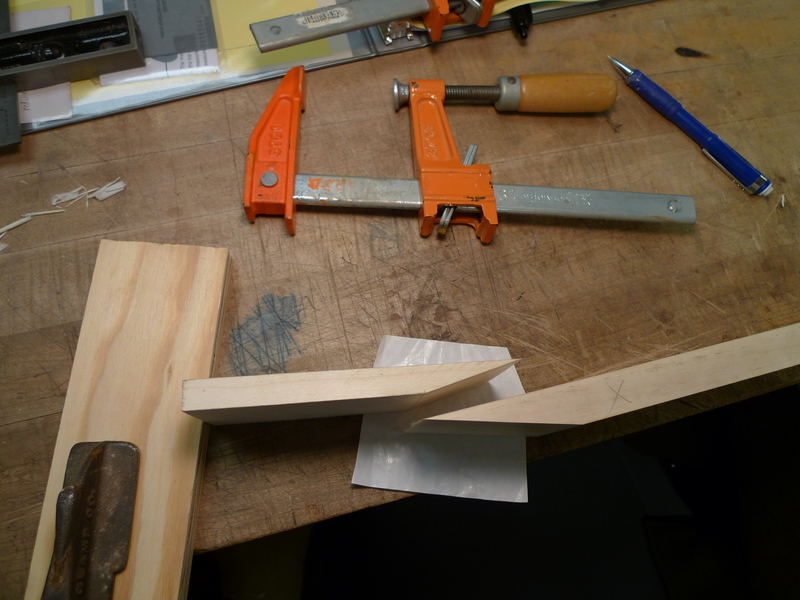 Lap Joint project: after prepping some soft maple, we cut a 15-degree angle, then planed it smooth in order to make a lap joint for a neck mockup. 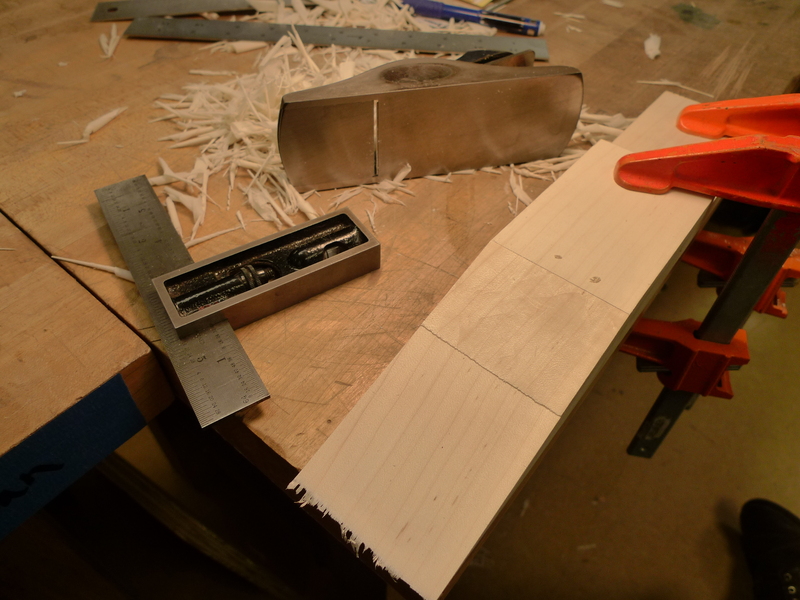 We’ll continue to work on this piece, including a headstock overly, frets, and finish. But for now, it’s just a simple joint. 5. We’ve begun about four other projects by prepping stock on the jointer, planer, table saw, and sander. Whew! Now, a much deserved weekend! 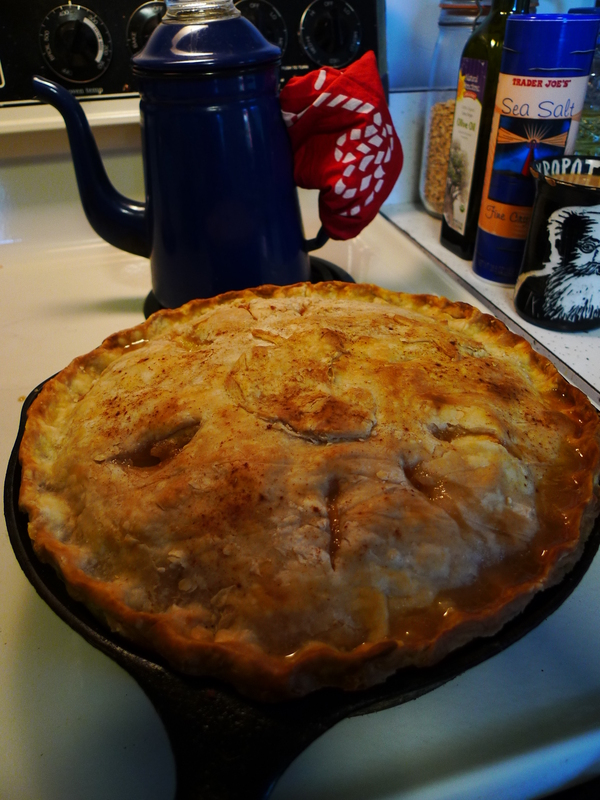 I decided to bake a pie for Laura’s birthday, and drive down to Gays Mills, WI for a square dance and tunes after. Yes!